What Does Our STEM Report Mean for the Further Education, Higher Education and Economic Development Sectors? 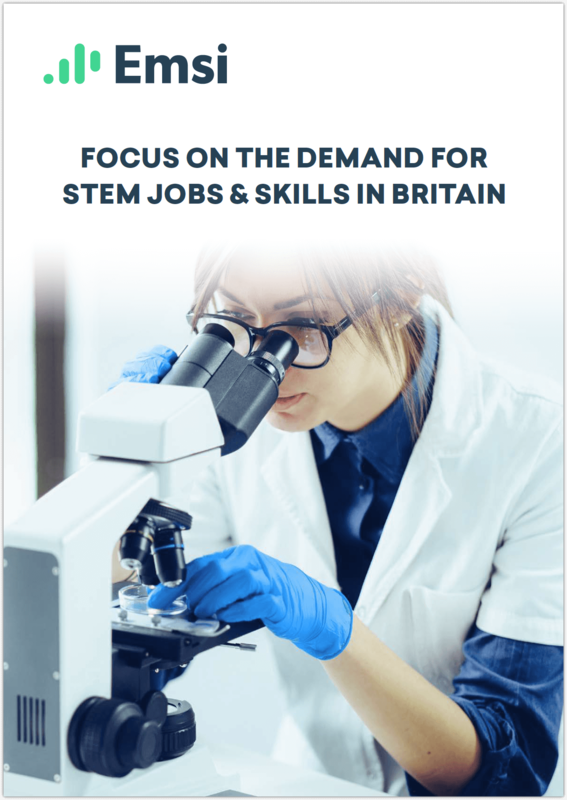 Hopefully you will by now have seen our recent report — Focus on the Demand for STEM Jobs and Skills in Britain — but if not, you can download a copy for free by clicking on the front cover image below. In addition to the report, we also ran a webinar summarising the main findings, which you can view here. We have also produced a short, 15 minute video, looking at what the findings mean from the perspective of Further Education, Higher Education and Economic Development organisations. In the video, our Managing Director, Andy Durman, poses a number of questions to our sector leads and — as you will see — their answers are extremely helpful to decision makers in colleges, universities, LEPs and Local Authorities as they think through how to meet STEM jobs and skills demand in their area. To find out more about how our insight can help your organisation better understand demand for STEM jobs and skills in your area, get in touch.